Will these top 10 agriculture producing countries in the world manage to satisfy growing food demands? Demographic projections show that the world population will reach 9 billion by 2015, which means that world’s food production will have to increase by 70 percents to satisfy people’s needs. Besides population growth, other factors, such as rising incomes, will also have influence on food demands because greater incomes allow people to spend more money on their diet. The income rise in developed countries stands in direct correlation with consumption increase of meat and milk per capita. The fact that people are consuming more meat and dairy products also means that production of grains is increasing since it takes 7 to 10 kilos of grain to produce one kilo of meat. Satisfying world’s food demand is challenging, not only because it requires 70 percent increase in agricultural production, but because this growth leads to expansion of production areas, which puts additional pressure on preserving environment. From 1965 to 2011, production area expanded at an annual rate of thirteen million acres per year which caused high deforestation rate, decline in biodiversity, and increase of pollution. One solution to meeting world’s food demands, while simultaneously minimizing negative effects to environment, lies in greater agricultural productivity. You can read our list of 10 Most Advance Countries in Agriculture to see which countries have managed to increase their agricultural productivity. Finally, as we all know, the food consumption isn’t even across the plant. According to State of Food Insecurity in the World, 795 million people in the world, or one in nine people on earth, do not have enough food to lead a healthy active life. Majority of malnourished people live in Asia, where two-thirds of total population struggle with lack of food. And the most disturbingly, nearly half of death in children under five is due to poor nutrition. On the other side, it is estimated that nearly 30 percent of produced food end up in waste bin – in the low-income countries large share of food is wasted because of poor conservation technologies, while in developed parts of world people throw away food in their homes and restaurants. Reducing food waste is one way to tackle the problem of growing food demand and malnutrition. You will see that a few countries on our list have introduced laws and initiatives to reduce the percentage of food that end up as garbage. Now let’s turn to the list Top 10 Agriculture Producing Countries In the World, which we made using data form Statistic Division of Food and Agriculture Organization of United Nation (FAOSTAT) for 2012. 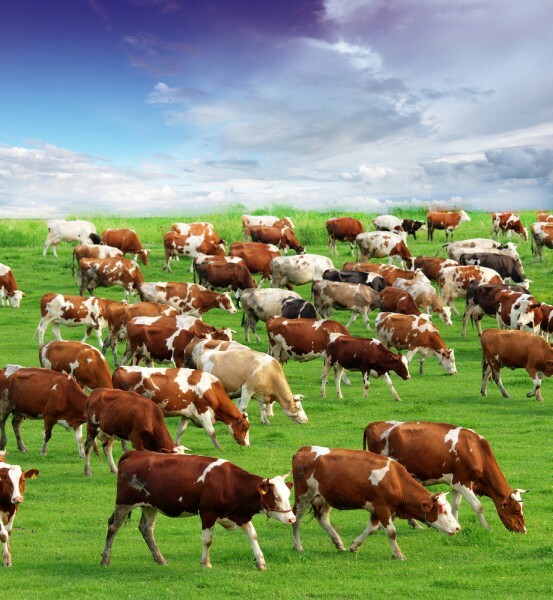 First we looked at commodities that had highest production in 2012 – milk, rice, meat cattle, meat pig, meat chicken. For each of these five commodities we created the list of top producing countries. Then we compared lists and created this ranking.